Item # 304539 Stash Points: 1,995 (?) This is the number of points you get in The Zumiez Stash for purchasing this item. Stash points are redeemable for exclusive rewards only available to Zumiez Stash members. To redeem your points check out the rewards catalog on thestash.zumiez.com. The future looks odd, better wear shades. 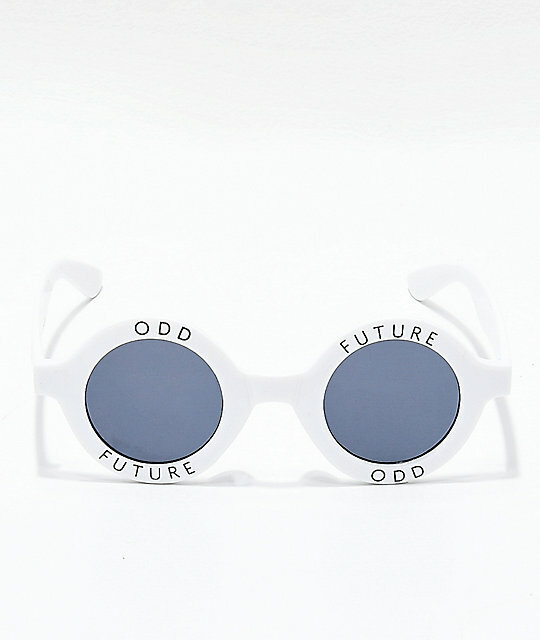 The White Round Sunglasses from Odd Future feature sleek rounded lenses with Odd Future logo text above and below the lenses, along with Odd Future's signature donut graphics printed on the arms. Block the haters while looking fly in the White Round Sunglasses from Odd Future. 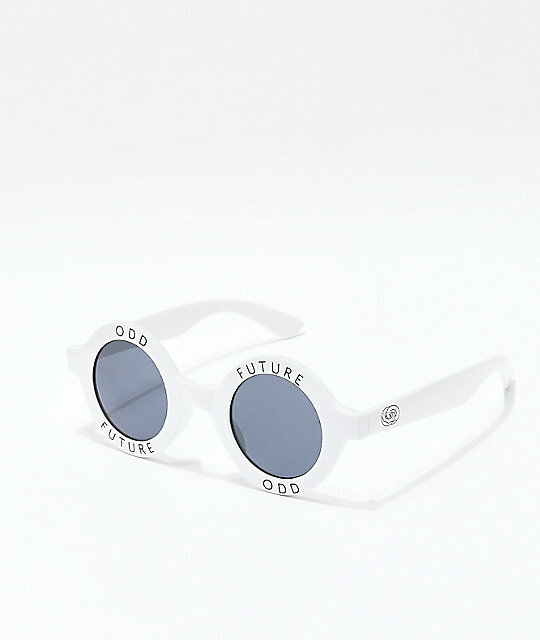 White Round Sunglasses from Odd Future. White acrylic frame & arms. Odd Future branding on the frames.